When you do pushup exercise,it is discomfortable to put your hands on the hard ground. Therefore,this pushup bar will make you easy to do pushup and you will last for much time. 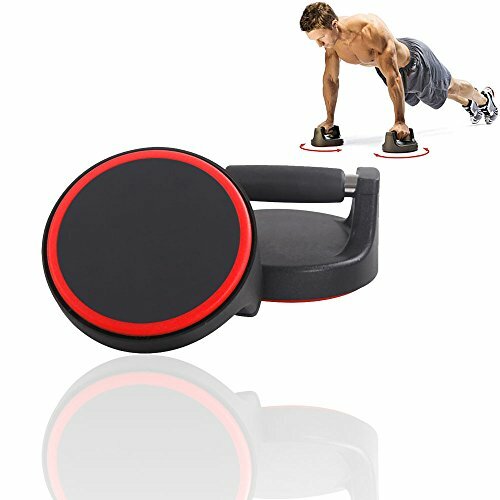 It is a wonderful fitness device for exercise at home. The pair of rotating pushup handles with comfortable rubberized grips. Comfortable to use. Ergonomic grips help distribute weight evenly, reducing pressure points and joint strain on wrists and elbows. Stable bases with rubber bottoms that grip well on carpet and all hard floor surfaces. Pushup stand designed to rotate slightly, engaging more muscles and increasing strength and definition in arms, shoulders, chest, back and abs. The handle ensures even weight distribution, lowering the pressure on your wrists and enjoy the empowerment of a great workout with no unnecessary strain at all. And the elevated grips motivate you to dip even further down when doing your pushup, employing more muscles with one single push. If you have any questions about this product by Enshey, contact us by completing and submitting the form below. If you are looking for a specif part number, please include it with your message.